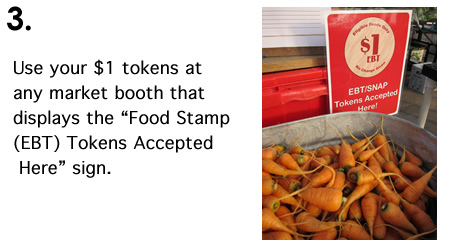 This program enables SNAP or Food Stamp recipients to use their EBT cards to purchase healthy, fresh, and locally produced food at farmers’ markets. SNAP recipients can purchase vegetables, meats, milk and cheese, honey, breads, baked products, and even seeds or seedlings for food-producing plants! Seacoast Eat Local is part of a greater statewide network- the New Hampshire Nutrition Incentive Network- which is growing opportunities for EBT recipients to use their benefits to purchase local foods at farmers’ markets and farm stands. 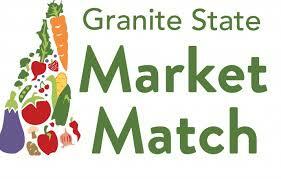 This network developed Granite State Market Match, an incentive available for SNAP shoppers at local farmers’ market and farm stands. 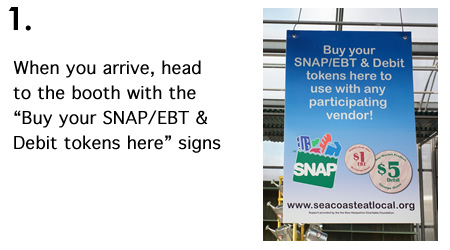 Seacoast Eat Local (SEL) accepts SNAP/EBT at our Winter Farmers Markets! These Winter Farmers’ Markets take place in Exeter and Rollinsford from November through April. 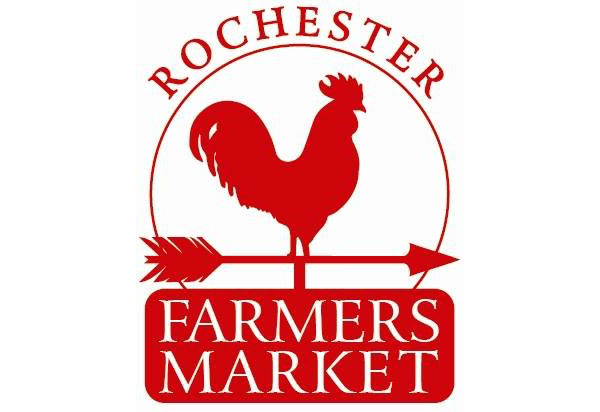 Dates, times, and location details can be found on our Winter Farmers’ Market page. Our Seacoast Area Mobile Market (SAMM Van) also accepts SNAP. Check the website for our seasonal schedule. Common Terms: Learn the Lingo! Market Match, or Granite State Market Match, or GSMM, is an additional incentive program that matches SNAP customers benefits dollar for dollar, up to the first $10. Market Match Coupons can be used to purchase additional fruits and vegetables at the market. Funding provided by the Food Insecurity Nutrition Incentive (FINI) through a regional grant administered by the New Hampshire Food Bank. Support for this program is provided the Thomas W. Haas Fund of the New Hampshire Charitable Foundation, and a partnership with Wholesome Wave and the NH Food Bank. By allowing SNAP recipients to use their federal benefits at the winter and summer farmers’ markets, SEL hopes to create affordable year-round access to local foods. The goal of the program is to not only improve access to fresh foods and in turn improve an individual’s nutrition and health, but also to invigorate the local economy and New Hampshire’s agricultural community. Seacoast Eat Local’s is always looking for volunteers. Help increase access to local fresh healthy food for low-income individuals and families! 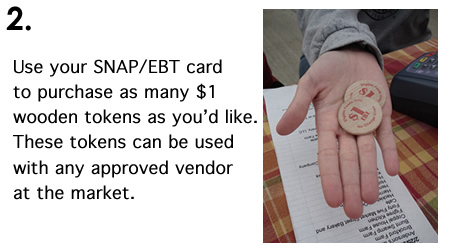 Help at the Market: Volunteers are needed to help at the SNAP/EBT booth to help answer customer’s questions, assist the program coordinator with EBT and debit transactions, and to provide new EBT shoppers with information and a farmers’ market tour. Tell your Community: Help us promote this program all over the Seacoast region of New Hampshire. We can provide you with posters, fliers and more information to put up in your own community! Interested in starting a SNAP program for your farmers market?